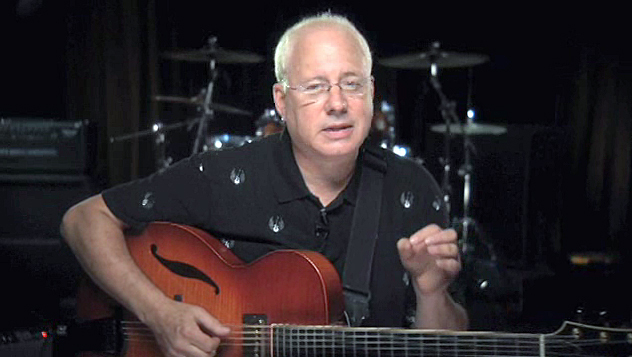 A graduate of the Berklee College of Music, guitarist Jeff Richman's extensive professional background includes performing on guitar, composing, arranging, and recording music in many genres, and teaching in academic and private settings. He has produced 16 solo albums and toured worldwide with notable musicians over a 35-year career, including Blood, Sweat & Tears, John Klemmer, Ronnie Laws, Doc Severinson, Don Grusin, and Alphonse Mouzon. Jeff has also recorded music for a multitude of television and film projects and has taught seminars and clinics around the world. For more on Jeff, please visit JeffRichman.net.